A dedicated team, customised designs, project management and attention to detail, secures, for you, our client, a garden representing your unique style and expression. We believe that the essence of natural gardening is working with nature to establish a harmonious balance. Bernadine Drath obtained her National Diploma in Landscape Technology in Cape Town in 1996. Part of her practical training was spent at the Walter Sisulu National Botanical Gardens. 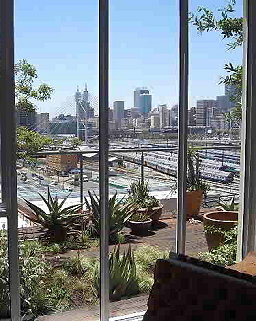 Bernadine was involved in the development of the gardens of the Table Bay Hotel in Cape Town, and worked at various nurseries in Johannesburg. Bernadine's overseas experience was obtained with a London-based landscaping company called The Garden Party. Rose Vermeulen completed the full Landscape Design Course at Lifestyle College, and holds certification with the City and Guild of London. Bernadine and Rose joined forces in 2001, and created Indigo Landscapes.